Gibson SG , new tuners ? Discussion in 'Guitars in General' started by GibSG, Dec 7, 2016. 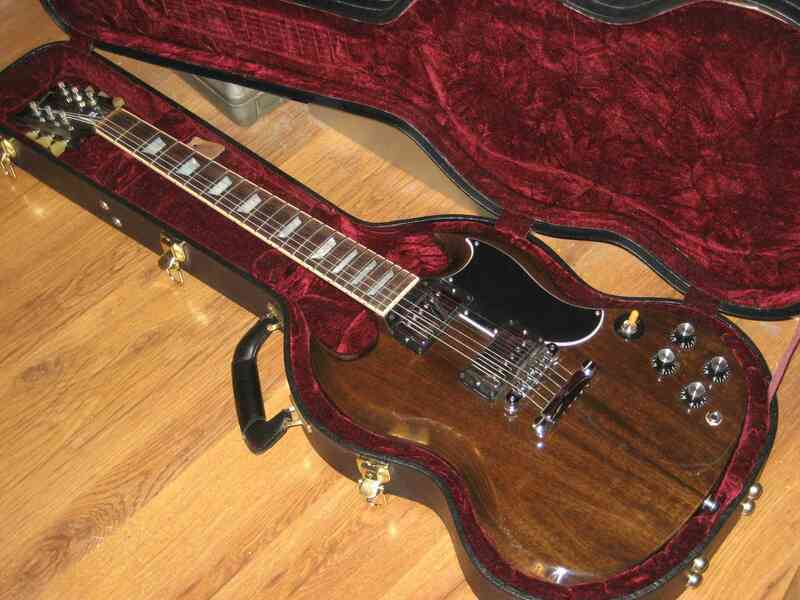 I want to replace the tuners on ny Gibson SG . Do you know those new Kluson? What is the best choice? What tuners does it presently have, and what would you like to change about them? Looks? Ratio? Locking functionality? Now tuners are Gibson GForce and I want manual tuners . I just replaced the robot tuners on my 2014 sg standard. I grabbed the gibson branded klusons they had on the wall at guitar center. They are ok but not great so I'm curious as well. Definitely going to get something better at some point. I installed some open back locking Hipshots on a build I'm making and they seem good to go. The threads do feel inconsistent on a couple, but it's not a show stopper. I'm actually a fan of the Planet Waves clipping ones, but they don't seem to match an SG to me. Hips hot with ump. I went with closed mini and they are great. GibSG and ragamuffin like this. I replaced my g force with these and it was a perfect fit, easy install and they work great. I replaced the GForce with these in chrome. Here's your answer, OP. Authentic Gibson tuners easily installed. I got the Gibson Revolution Locking Tuners on my Les Paul Traditionals, it was a massive upgrade over the stock ones. I love the 19:1 ratio. 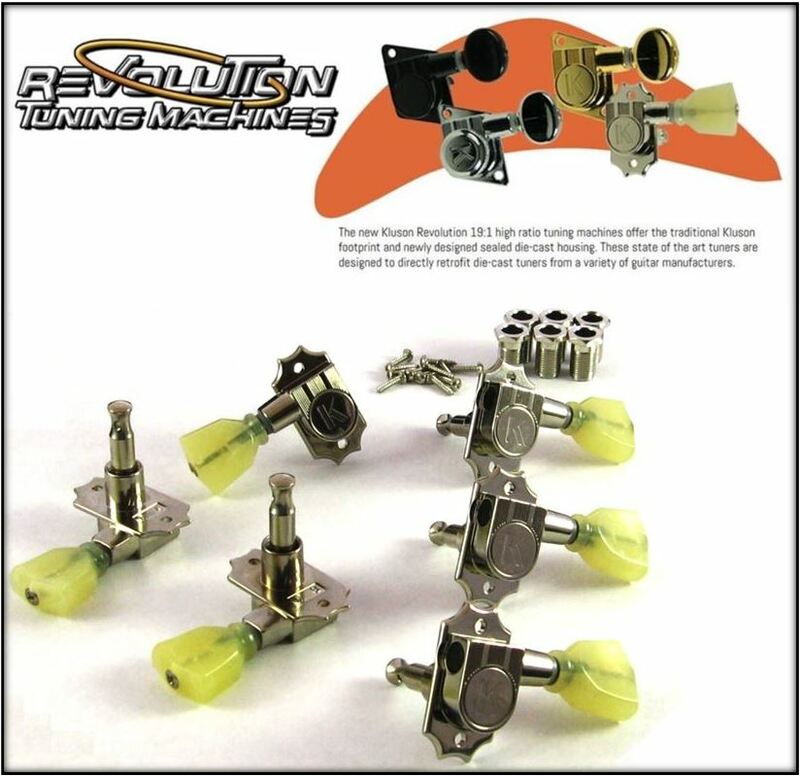 I also got the regular non locking Revolution tuners on my Studio. You can also replace the buttons on those, I had originally got the plastic ones which I didn't like much and replaced them with chrome buttons. I know Gibson Deluxe tuners but those Kluson are high ratio tuning machines. The SG doesn' t like heavy tuners, Revolution tuners with perloid buttons look fine.